Brenda Nelson plays a card game with friends on Mullanphy Street during the street's last annual block party on Saturday. On the third Saturday of July neighbors and former residents gathered in the 2300 block of Mullanphy Street in north St. Louis. That’s when the annual block party always takes place. But this would be the last one. In a matter of months homes in this St. Louis Place neighborhood will be knocked down to make way for the National Geospatial-Intelligence Agency’s new $1.7 billion facility. "My dream was that they would do in-fill building," said Janet Bradley, who lives one block to the east. "When we moved in here there were houses up and down the street, all the kids played together, the parents watched out. This was a real community." Bradley lives in the home her parents bought more than 50 years ago. She said she and her husband have found another house, but it won’t be the same as living near neighbors she’s known for decades. "Once you’ve been together this long, you’re no longer friends. You’re really family," she said. There’s a pride in this neighborhood that now has more vacant land than homes. Many people recall how momentous it was for their parents or grandparents to buy a house for the very first time. Phil Betts lifts his son, Leo, toward a swing set while playing with his children at the annual Mullanphy Street block party on Saturday. "People who came maybe from Pruitt and Igoe and other places became home owners in the hopes of passing their homes to their children," said Joyce Belk Miller. Her mother, Kathleen Belk, moved into a three-story brick in 1957. While Miller left her mother’s house after getting married nearly 40 years ago, she still considers it home. Now it will be a matter of days before moving her mother to a new house in north St. Louis County. "I’m having a hard time leaving," Miller said, choking back tears. "I know my mother is in a little bit in denial. I keep telling her we have to go and she said ‘I don’t have to go right now. I can come back next week.’ No, you can’t come back next week." Residents, neighbors and friends gather on Mullanphy Street in the St. Louis Place neighborhood for the annual block party. As music played over loud speakers and old friends laughed together, there was also an air of sadness. John Ellston stood with his daughter gazing around the party. He said he’d come back to the neighborhood every year for this. "It’s hurting my heart. The next time we come down these houses are going to be gone," he said. "It’s sad." When asked his thoughts on the coming NGA facility, like most here, Ellston said he hoped it would bring new life to the area. "Now that it’s a done deal, I hope so," he said. "I hope this wasn’t all in vain." People began moving out in June and the city is planning to have the area emptied out completely by late September. Demolition could begin in October. For now neighbors and former residents are collecting one another’s phone numbers and new addresses. They say they’ll try to continue this annual block party, some way. 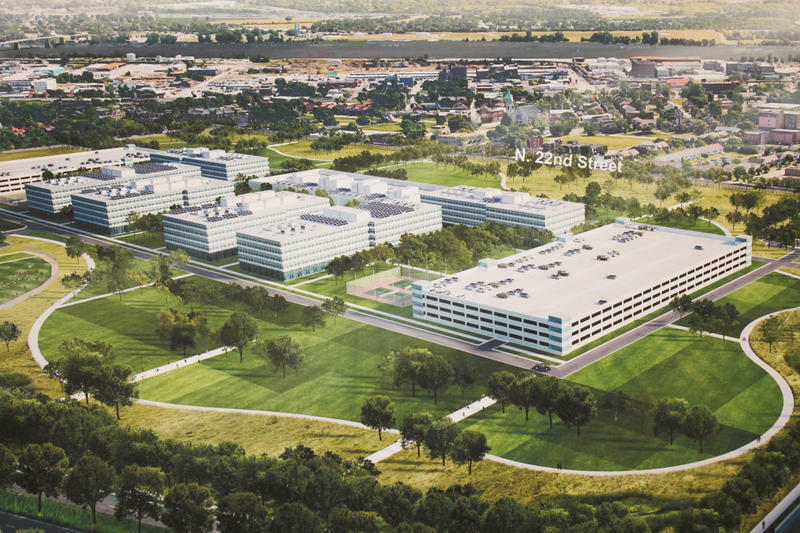 A 100-acre site in north St. Louis will be home to the sophisticated, high-tech National Geospatial Agency facility in few years. At the moment, archeologists are trying to find out how people on the site once lived. 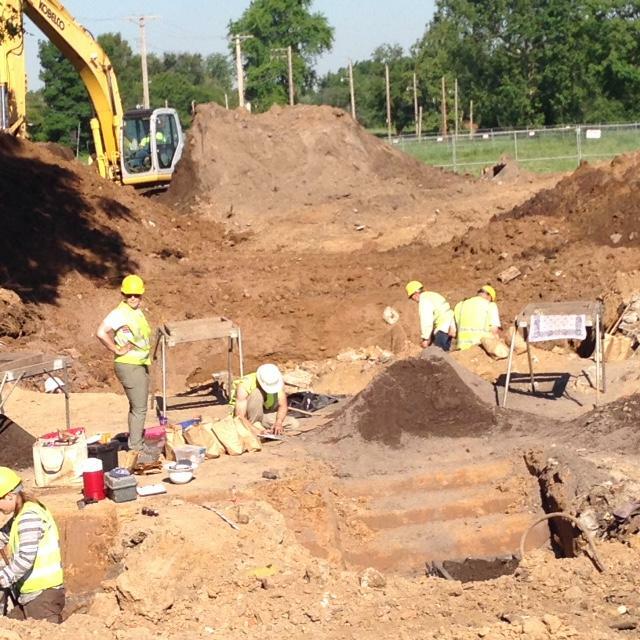 "The whole idea is to understand what people’s lives were in past and get a better feel for that," said Joe Harl, principal investigator for Archeological Research Center of St. Louis. In the same pulpit his father had preached from for decades, he clutched the microphone and spoke. Beads of sweat dotted his face. He stretched out his vowels so his words became a song. Fresh flowers decorated the lectern. He wore a white suit with a picture of his dad pinned to its lapel. The Rev. Jonathan Davis opened his eyes and looked at the dozens of people swaying in the pews. They had all known and loved his father, The Rev. Joel Kelly Davis, and now they were here to say goodbye. St. Louis has won the effort to get the National Geospatial-Intelligence Agency’s new $1.75 billion facility. The final decision was not a surprise, even as Illinois officials continued to push this week for a location near Scott Air Force Base in the Metro East. 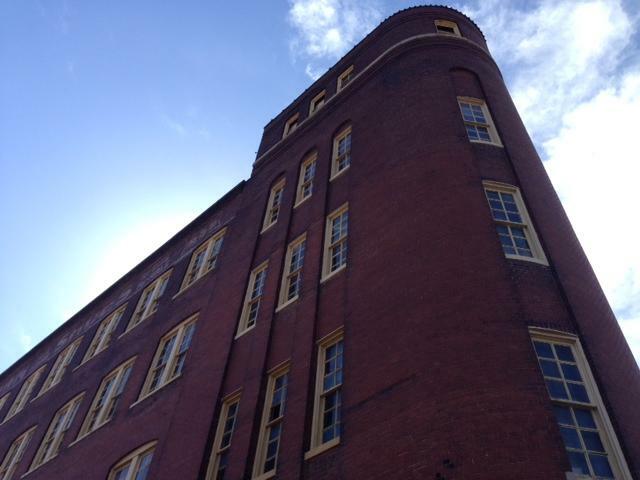 Will the other shoe drop on the Buster Brown Blue Ribbon Shoe Factory? Jim Osher can’t imagine how anyone could think of tearing his building down. "You see that piece of wood?" he asks pointing to a massive rafter. "That’s old growth Douglas fir. You can’t get that anymore."